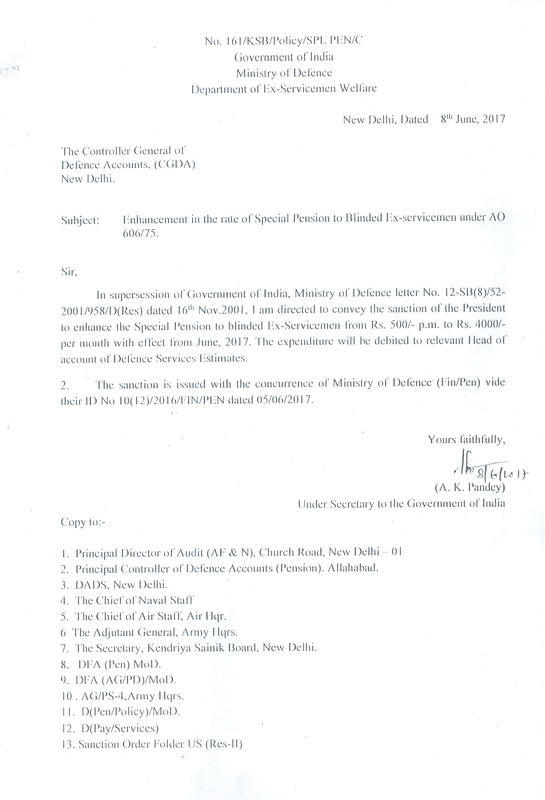 In supersession of Government of India, Ministry of Defence letter No. I2-SII(8)/52-2001/958/I. )(Res) dated 16 Nov.2001, I am directed to convey the sanction of the President to enhance the Special Pension to blinded Ex-Servicemen from Rs. 500/- p.m. to Rs. 4000/- per month with effect from June, 2017. 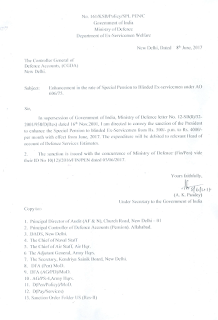 The expenditure will he debited to relevant Head of account of Defence Services Estimates. 2. 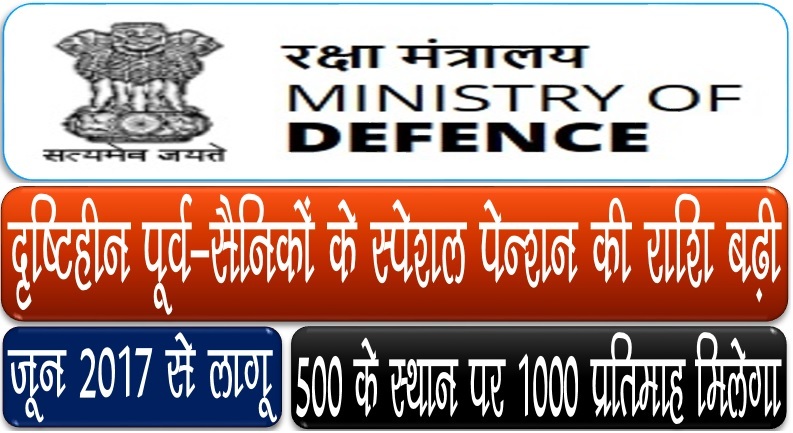 The sanction is issued with the concurrence of Ministry of Defence (Fin/Pen) vide if: their ID No No.10(12)/2016/FIN/PEN dated 05.06.2017. 2. 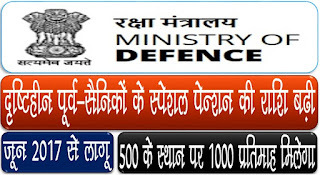 Principal Controller of Defence Accounts (Pension). Allahabad. 5. The Chief of Air Staff, Air Hqr. 6. The Adjutant Gieneral, Army Hqrs. 7. The Secretary, Kendriya Sainik Board, New Delhi.